Create a warm and rustic master suite with this sleigh bed as the centerpiece. 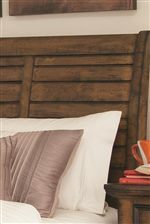 The bed features rough sawn planks and a Vintage Bourbon finish that exude rustic casual style. Two drawers in the footboard provide smart storage, and the bed's classic sleigh shape has a dramatic effect. The Elk Grove Queen Sleigh Bed with 2 Drawers by Rooms Collection Two at Rooms Furniture in the Houston, Sugar Land, Katy, Missouri City, Texas area. Product availability may vary. Contact us for the most current availability on this product. 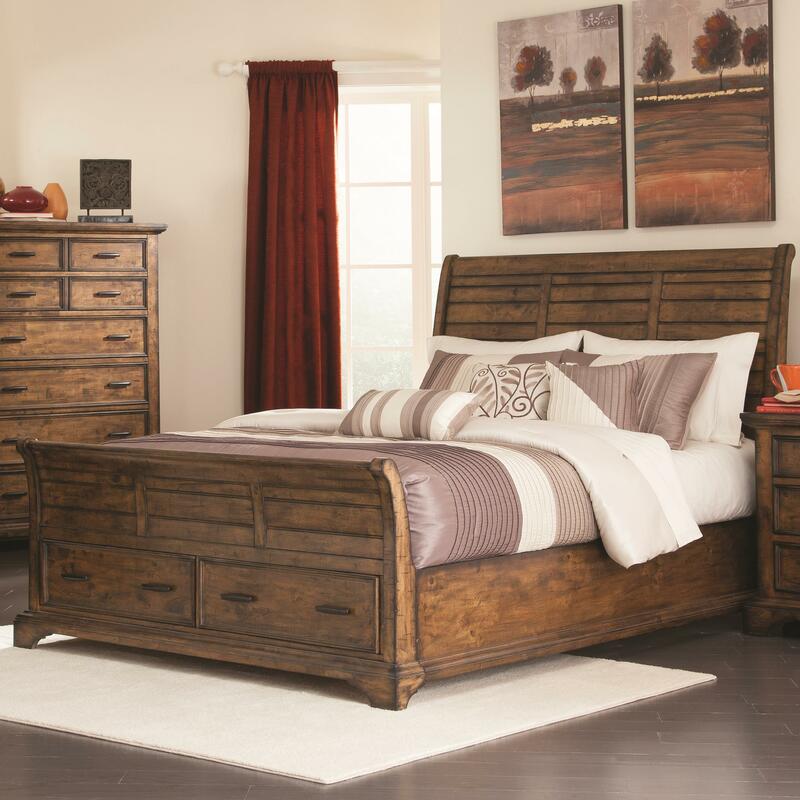 203891QB3 Queen rails 1 0" 0" 0"
203891QB2 Queen Footboard 1 0" 0" 0"
Capture the warm, casual look of rustic style with the Elk Grove bedroom collection. 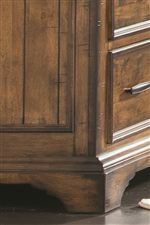 Details like metal bar pulls and rough sawn planks instill each piece with a classic rustic look, enhanced by the Vintage Bourbon finish. 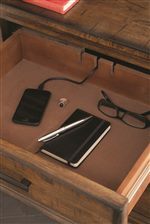 Storage abounds throughout the collection, with smart features like felt-lined top drawers, a jewelry tray, and a wire cord in the nightstand to help you charge your phone. At the heart of it all is a beautiful sleigh bed that is dramatic in shape yet casual in style. The Elk Grove collection is a great option if you are looking for Casual furniture in the Houston, Sugar Land, Katy, Missouri City, Texas area. Browse other items in the Elk Grove collection from Rooms Furniture in the Houston, Sugar Land, Katy, Missouri City, Texas area.